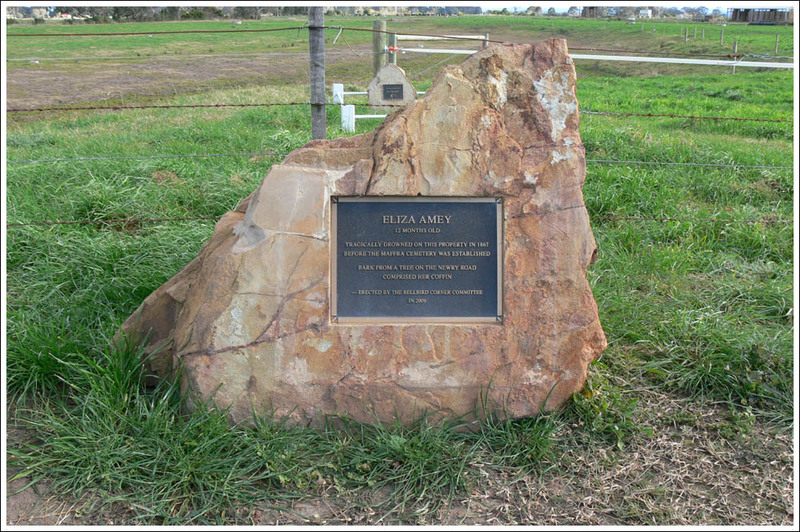 On April 27 1867, a one year old girl Eliza Amey was playing in the dairy at milking time on the family farm between Maffra and Newry. Fearing she may put her hands in the milk, her mother put her outside, and when she went to check a few minutes later, found the little girl had fallen into a water hole and drowned. In those early days the cemetery had not been established, so the family had to bury Eliza on the farm. 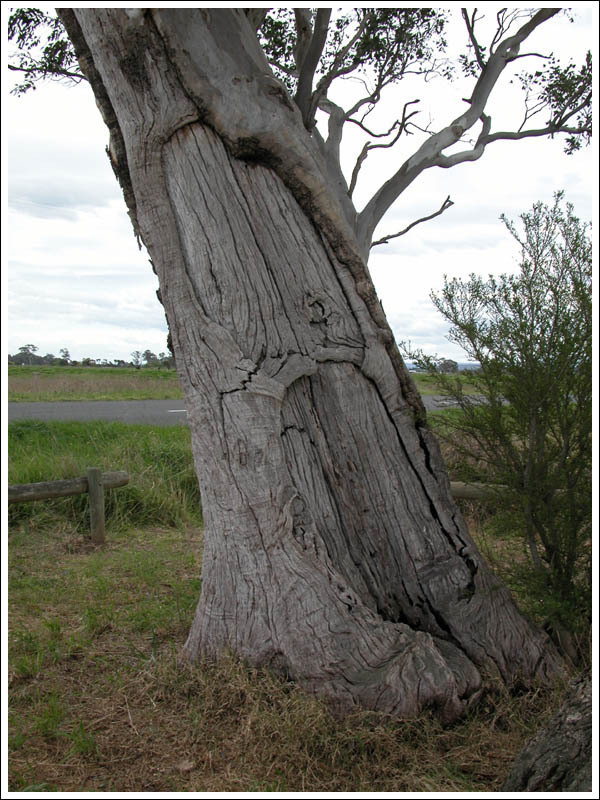 Her father cut two slabs of bark from a large redgum tree beside the road, Eliza was enclosed in this bush coffin, and buried on a high point overlooking the Newry Creek. 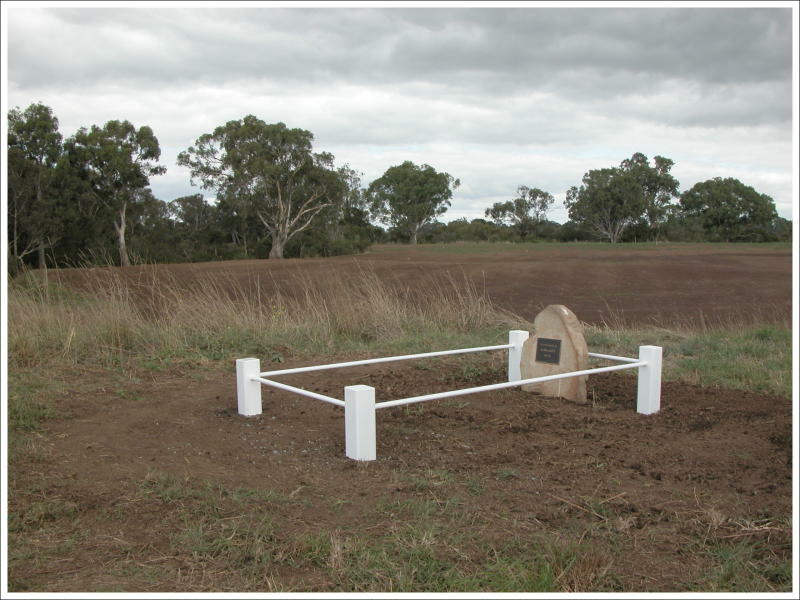 Thanks to the Wellington Shire the exact position of her bush coffin was established by ground penetrating radar, we sourced a beautiful natural headstone from the foothills, and it was installed at the head of her grave with a bronze plaque attached. The grave was then enclosed by a low steel railing. 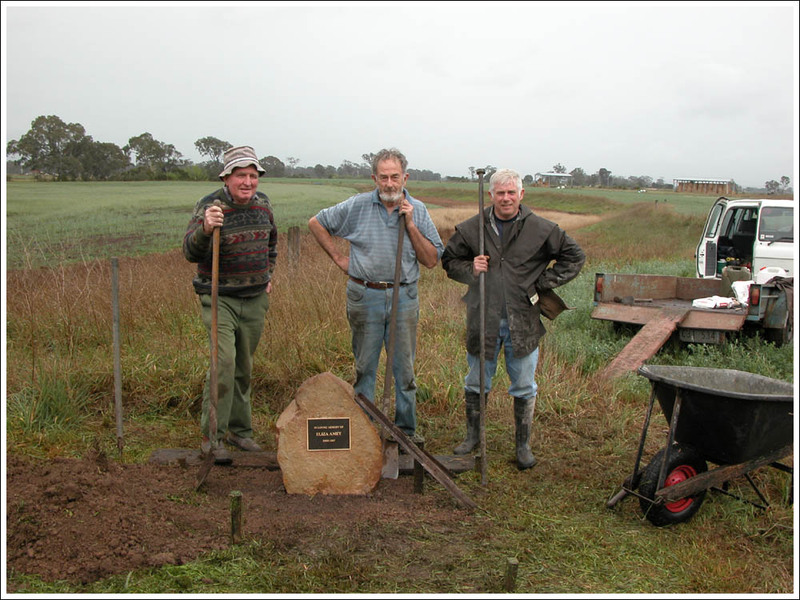 Here we are after a drizzly morning’s work with Eliza’s memorial finally in place. 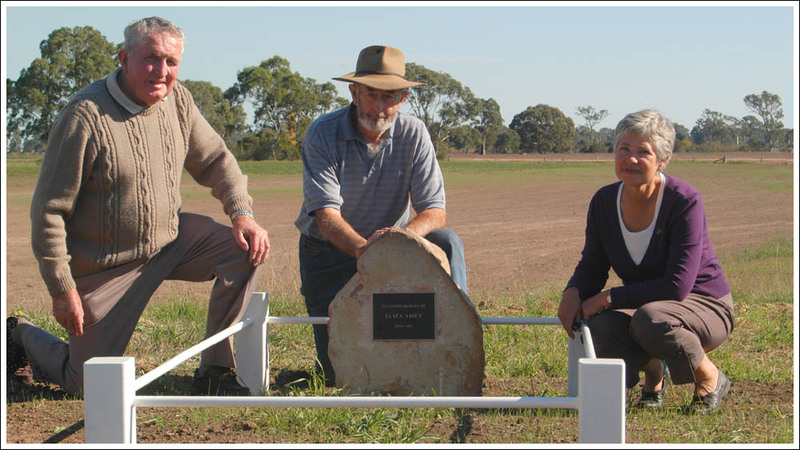 The Bellbird Corner Committee worked on this for so long that we feel as if little Eliza is one of our own, and to see the new headstone standing gives us a lot of pleasure. to hold her tiny body. may hear them call –“Eliza”.